Cobra Foundation supports charities and non-charitable good causes that undertake work within the parameters of our mission. We will also consider supporting young people planning to undertake expeditions and associated charity work, where this is related to our charitable objectives. There is limited budget through which we are able to offer grants, normally capped at £2000. We prefer to distribute lower sums to a wider range of small to medium sized charities (annual turnover of less than £2 million) rather than support larger organisations which have access to other sources and well defined reserves. Please do not apply if your objectives do not match our mission, as stated above. We do not normally respond to applications that fall outside our grant parameters. If you have doubts as to eligibility, please contact us. We do not require a standard form and it is not necessary to submit annual accounts at this stage. We are prepared to recieve your promotional videos and relevant supporting literature. Bids should be submitted at least three months in advance of your requirement for funds. This notice enables our Grants Committee (which meets quarterly in the last week of January, April, July and October) to research and prioritise requests. In common with other grant making Trusts and Foundations, we get requests for financial support far exceeding available funds. We will always explain why bids have been unsuccessful or deferred. Successful bids will be notified within 21 days of its submission to the Grants Committee. Applications for financial grants should be submitted by email or letters, with enclosures as appropriate. 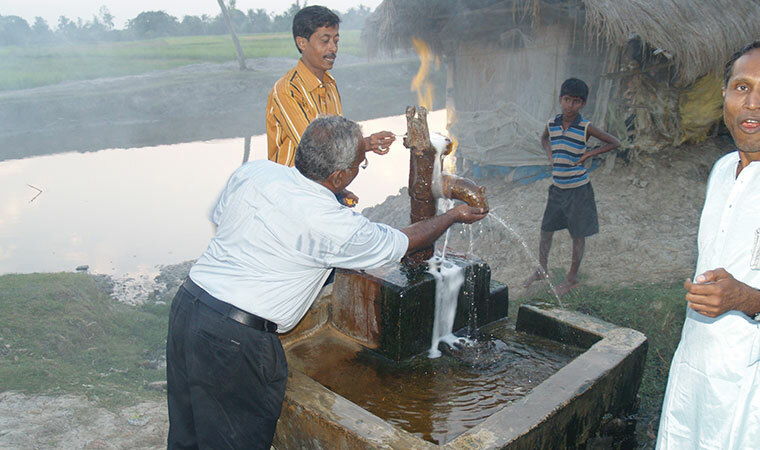 Drawing fresh water from newly installed pump, India. 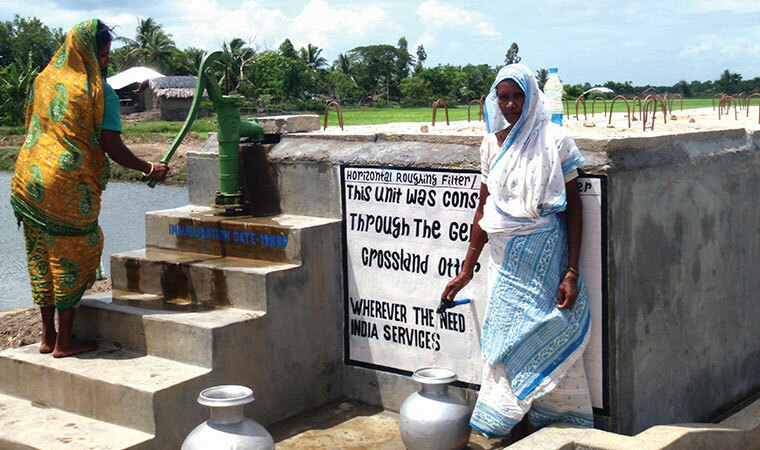 A blessing for the new water supply in Tamil Nadu, southern India.